Intrigue is the name of the upcoming expansion pack to our best-selling space strategy game, Galactic Civilizations III. It’s not called “Government” or “Politics”. It’s Intrigue. 13 minutes, 48 seconds between responses for radio signals in our own solar system leaves a lot of time for uncertainty, for doubt, for fear…for intrigue. Let’s walk through how colonization might actually work. Let’s presume humans get to Mars in the 2030s. Let’s also presume that at some point in the not so distant future, we actually plant a colony on Mars. Are those colonists citizens of Mars? Or are they citizens of their respective, Earthbound, nation states? How long would that work? How many generations would that work for? Would it survive the first crisis? Would humans, born and raised on Mars, care about the political maneuverings in Washington DC? Berlin? Beijing? London? I suspect that there would be point where the government would need to change in order to deal with large populations of people living off world. 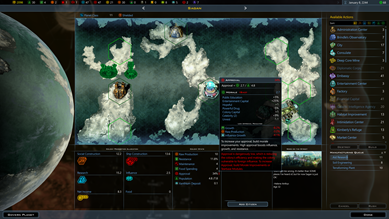 In Intrigue, once you settle your third planet, your people begin to demand some sort of government that recognizes that you have a significant offworld population. In the Galactic Civilizations universe, the first civilian colony of significance doesn’t occur until 2178. And fortunately, by 2178, not only do we have a faster-than-light (FTL) propulsion system, we have a subspace communication system which makes communication across vast distances easier. 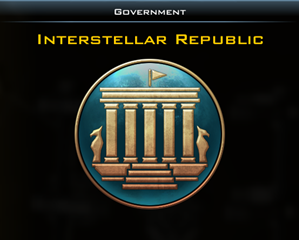 In Intrigue, after the third planet has been colonized, your people begin to demand a new type of government. Much of our time has been spent trying to think through how these government types might evolve. These governments would be different based on the civilization. The malevolent Drengin Empire, for example, has been unified for over hundreds of thousands of years. In contrast, by 2178 the nation states of Earth are working mostly in concert in a federalized United Earth which, comes to be known as the Terran Alliance. This is in honor of the principle that these other planets are, at least theoretically, equals to Earth. As a practical matter, that is not how it would likely go. In the early stages, we would likely operate as some sort of colonial government. That is, Earth would call the shots and each world would have its own governor that would be elected by the people. But the people wouldn’t have much to say regarding events back on Earth. A given planet would be a voting bloc much like, say, California, Texas, England, etc. But for a long while, they wouldn’t have the population to have a major say. These new colonies would probably be satisfied…for awhile. But what happens when our civilization truly becomes a galactic civilization? Barnard’s Star is 6 light-years away. Even with FTL and subspace communication, human beings are likely to feel a bit disconnected from Earth. 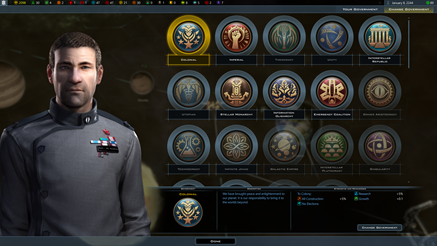 In Intrigue, once the player hits around 6 colonies, planets start to get a –1 to their morale for each planet beyond 6 if they are still operating under a Colonial government. They want more say in their own lives. At this point, we would need to make some tough choices based on what kind of civilization we want to be. The population of the amazing planet of Sagan has ballooned and yet there is unrest despite our best efforts. So, picture this: years have passed, and millions of humans have migrated to a gorgeous paradise world we’ve discovered. Humans, by this time, are surrounded by their “utility cloud,” which allows them to quickly build up everything they might need in terms of scarcity. But each world has its own challenges. So what are our choices? One choice is to set them free. That is, turn the planet (or planets) into a commonwealth - a civilization that is allied to you, but otherwise totally independent. They still count towards your overall influence, but they now are a truly independent galactic civilization. Another option is to choose a different form of government, one that gives them more say, which makes them happier, but provides elections. For example, the Interstellar Republic only has a 0.5 morale hit per planet after 6 planets. It also delivers the player a Prime Minister unit which can be sent to any planet to build up morale and influence on that particular planet. The elected Prime Minister is sent to Sagan to help bolster morale. But there are other choices too based on what your ideology is, what traits your civilization has, and what technologies you have. Perhaps a monarchy might work better for some civilizations with a Prince and Princess ship sent to quell uprisings. Or perhaps a scientific oligarchy is the path for your civilization. Or, as many civilizations often discover, money is hard to come by and the civilization must put aside research and enlightenment to focus on survival via an Emergency Coalition. Right now, we have about 20 different governments envisioned. However, there is no limit on how many types of government there can be. 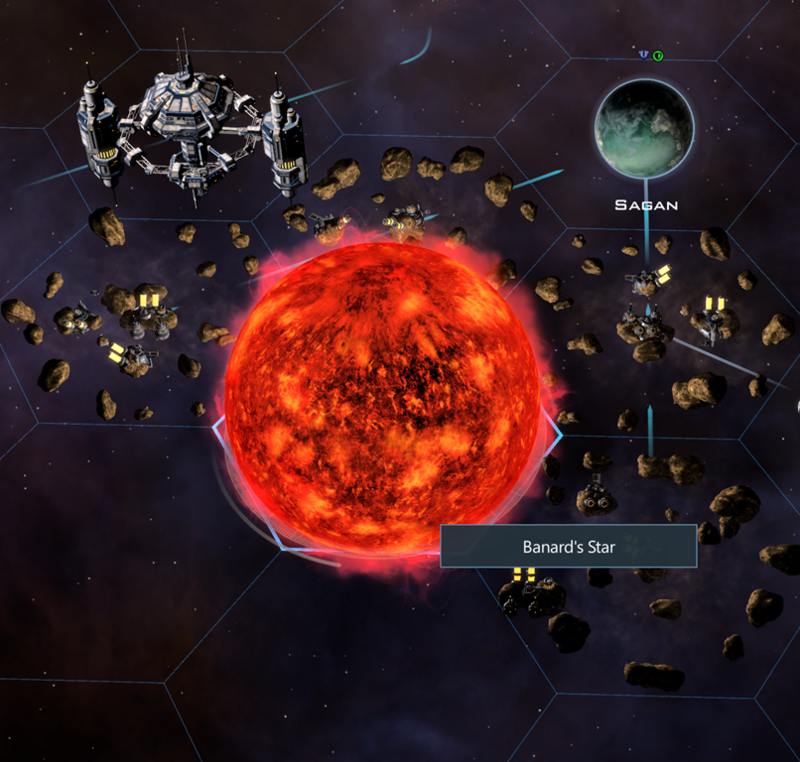 Modders can add their own, and fans have been suggesting many different types of out-of-the box ways a galactic civilization might function. 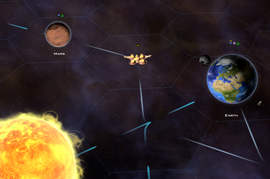 What has us so excited about Intrigue is that it really helps bring home the fact that Galactic Civilizations isn’t just a war game. It isn’t just about using diplomacy to manipulate other civilizations. It isn’t just about researching new types of technology or building up your cultural influence. It is really a game that asks you: what kind of civilization would you create if you had the chance? What tough moral choices would you make to survive? How would you envision your people organizing themselves across space and time? I'm ready. Let's do this, Stardock! One thing I hope Stardock releases soon is a listing of all the available government types along with their perks and weaknesses. I don't even care if the information isn't finalized. Also, I find the threshold of 6 colonies before the morale penalty to be a bit artificial. In my opinion, it would be more realistic and appropriate for the morale penalty to gradually increase from the first colony. I'm not saying I believe the penalty should be 1 right off the bat. I'm suggesting something more like a 1/18 morale penalty for each 1 billion people on the colonies (6 colonies * 3 billion people per colony = 18 billion--hence the 1/18. This would even allow cities on the colonies to contribute to the penalty. Of course, changes like this would need to be tested before being finalized). Anyway, this is just a small beef. I'm really looking forward to all the intriguing new features! Weeks! Surely you meant "Weeks have passed." I sure he means by turn 104, at which time it will have been 2 whole years! That's one glorious Government selection screen! Even the "Eye of Sauron" made it in there! I am curious to see how it affects AI Civs and how they react. Awesome !! I like how you added a negative effect on Population growth, raw production, and influence for low approval/morale. 1) Prime Minister Ship should be like a citizen instead of a ship, except perhaps when you change planets they move on something better than a citizen transport ship. If the ship gets destroyed while docked, your prime minister doesn't die, you need to build a new ship. 2) Planet Stats should show the % of each alien race on the planet. a. We could use our influence and open borders treaties to convince other Civs that diversity is their strength as we move into their planets and out breed them. b. You can better affect rebellions. c. You can subjugate other races. I like these ideas for it adds more depth to invasions etc.